للمسافرين الذين يرغبون أن يعيشو كل ما تقدمه جولد كوست, منتجع ترتل بيتش هو الخيار الأمثل. يقع الفندق على بعد 5 km من مركز المدينة، ويؤمن الوصول إلى أهم مراكز المدينة. سوف يعشق النزلاء موقع هذا الفندق، فهو قريب من أهم المعالم السياحية في المدينة كمثل The Karaoke Shack, ميرمايد, Putt Putt Golf Mermaid Beach . ببساطة كل الخدمات وأساليب الضيافة التي تشتهر بها Dreamtime Resorts تجعلك تشعر وكأنك في بيتك. يمكن الاستمتاع بمجموعة من الخدمات على أعلى المستويات في الفندق كمثل واي فاي مجاني في جميع الغرف, تخزين الأمتعة, واي فاي في المناطق العامة, صف السيارات, التوصيل من وإلى المطار. تنعكس أجواء منتجع ترتل بيتش في غرف الضيوف.مرحاض إضافي, غرفة معيشة منفصلة, تلفزيون بشاشة مسطحة, حمام إضافي, اتصال لاسلكي بشبكة الإنترنت (مجاني) هي بعض الميزات الموجود في العديد من الغرف. إن مركز للياقة البدنية, ساونا, حمام سباحة خارجي, سبا, تدليك هو المكان الأمثل في الفندق للاسترخاء وتفريغ طاقتك بعد نهار طويل. اكتشف مزيجاً ساحراً من الخدمة الاحترافية والخيارات الواسعة من وسائل الراحة والمتعة في منتجع ترتل بيتش. we travelled with a large family group and it was ideal for this. the kids loved the pools and spa. plenty of chair around and the bbq facilities were handy. the deck restaurant was a nice spot to be able to watch the children while they played in splash zone and have a drink or some food. only feel the apartments needed more utensils in the kitchens. we were always running out. we were in a 2 bedroom superior and there was plenty of room. 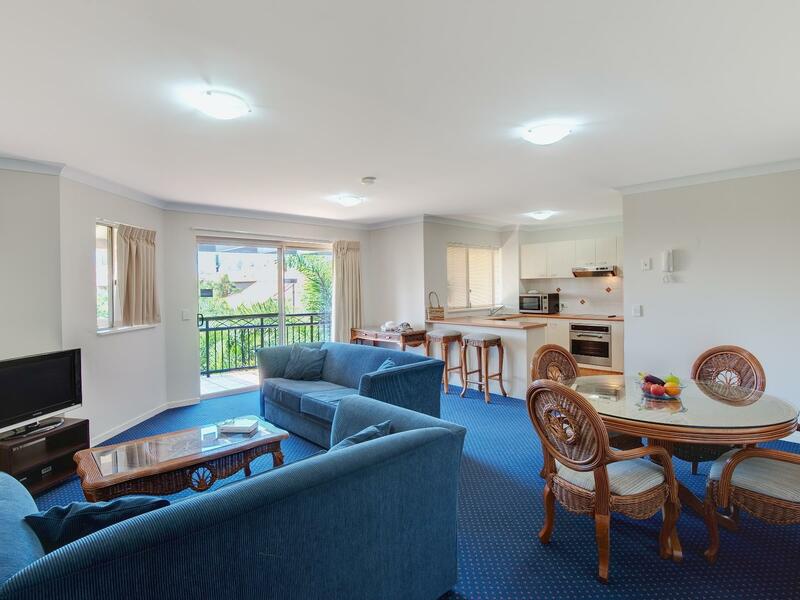 Resort located at Mermaid Beach, about 300m walk from a beautiful and quite beach. Plenty of pools and slides for our kids who enjoyed their stay tremendously. Kids club, cinema and lots of fun. Friendly staff at reception, pool and restaurant. However, food quite average and service very slow. Transportation available (against fee) from hotel to the many great theme parks located within about 30 mn drive. 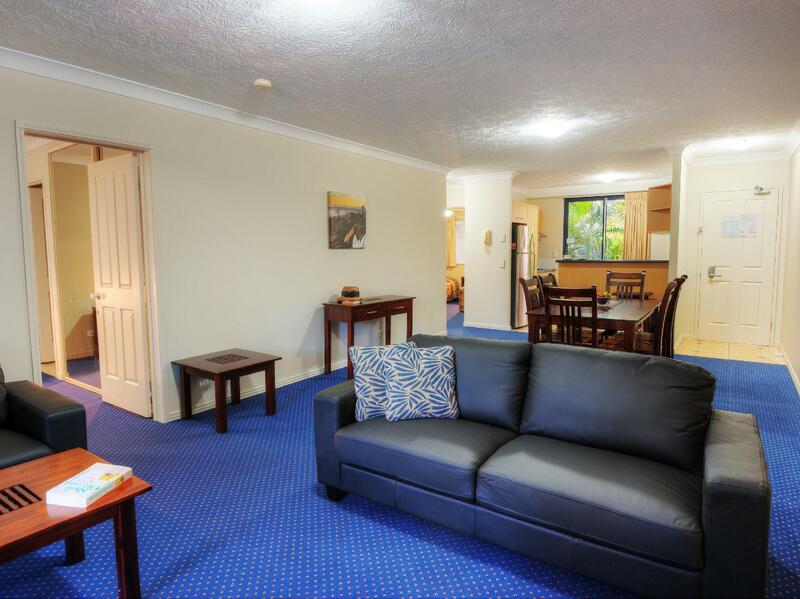 Large room (2-BR) but a bit old looking. Buildings no well maintained and dirty. No house keeping if you stay less than 9 days ... and no pool towels available for free ($5.00 each for duration of stay) I would certainly recommend this place for families, but perhaps not for couples. Amazing stay, so happy we found this place. So many pools to choose from, not just fun for the kids but for us Adults too. Our kids took advantage of the free cinema & their were plenty of bbq's around to use. Staff were avail if you needed them otherwise, they left you alone to really enjoy your stay without feeling you or your kids were doing something wrong. Being around other holidaying families was also great. Friendly, courteous & even our visitors who came felt very welcome. The room was great, laundry & full kitchen. Bedding was basic but still comfy. 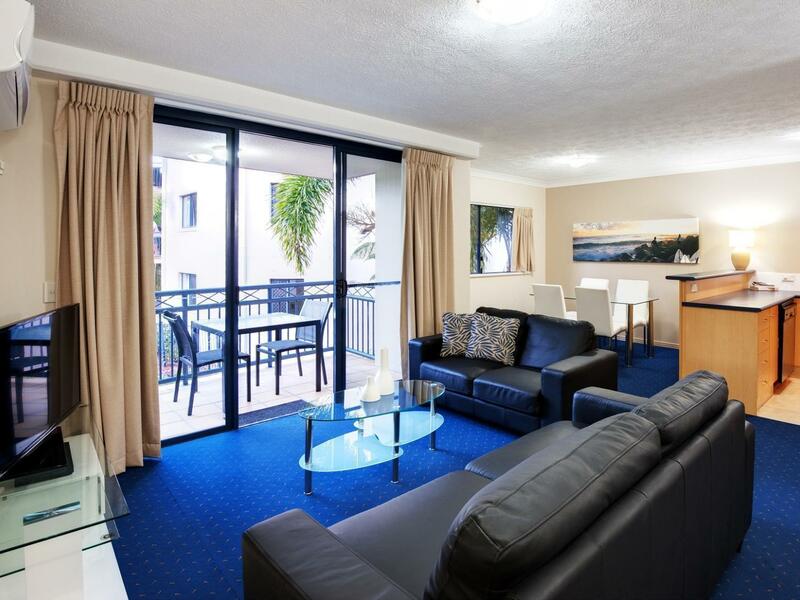 I recommend any families going to the GC for a holiday, stay here. I've spent alot more money to stay at a few places that don't even come close to what this resort has on offer. We didn't eat at the cafe here but there were plenty of happy people eating there. We didn't book our kids into the kids club but people only had good things to say about it. 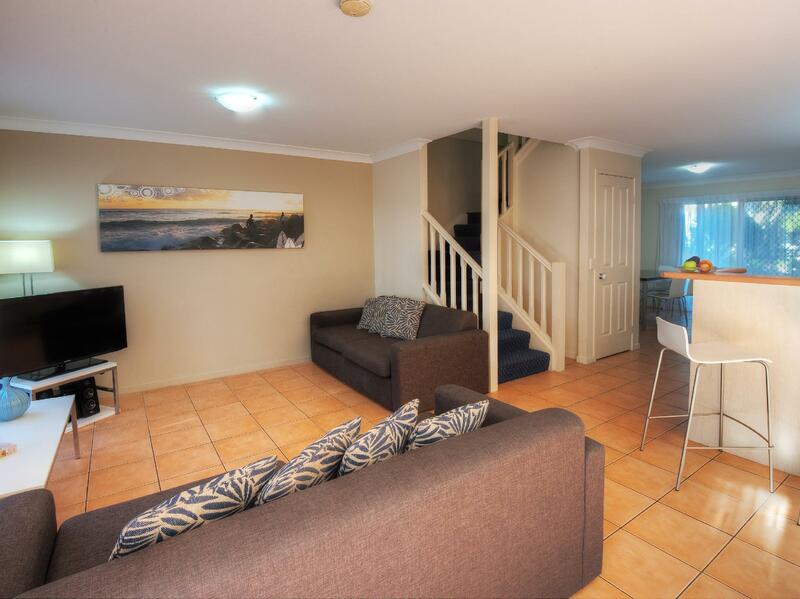 When booking accommodation, we were led to believe it was through the Turtle Beach Resort accommodation. This was on true as it turned out to be an independent owner, which we ended up having to pay cash in hand which was a bit strange. The facilities were good but needed a lot of maintenance as it hadn't seen it for a long time. The kids area and swimming pools also needed at a lot of maintenance there was not enough seating for the amount of people that there as well. The restaurant was fantastic and the service was absolutely brilliant. As for the amount of cockroaches I think the place might need a good fumigating. awesome for families but also nice for couple getaways. 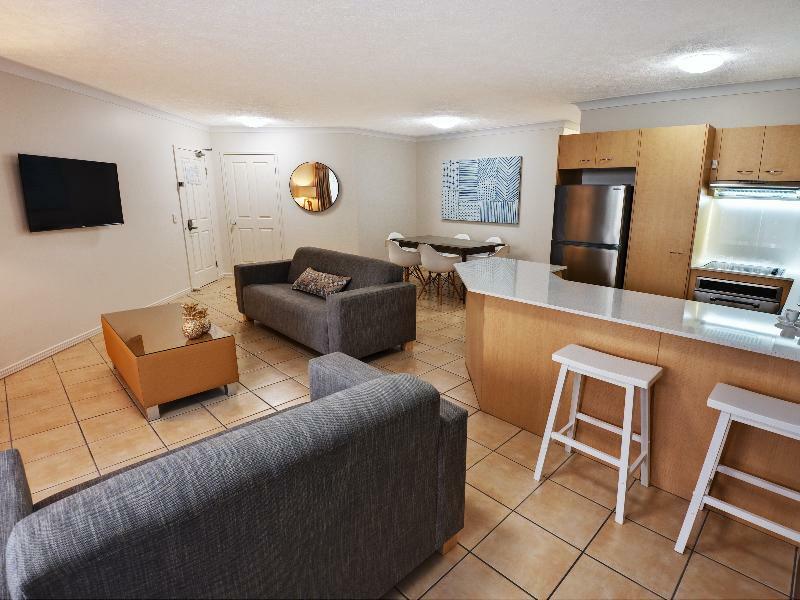 very convenient with an on site resteraunt and choice of pools. Travelling with 3 young kids all under 7 this resort was amazing. It's close to everything yet you never have to leave if you don't want to as anything is right there. We'll be back. We stayed for a week and loved it. The reception staff were Amazing, very friendly. The cafe staff were not so friendly. Rooms were clean, a little dated but we expected that as it's not a 5 star posh resort. Good location, and the pools were amazing. 5he cafe was a good price as was all the local eating places. We are frequent travelers, Both overseas and locally, My First Impression after checking in at the Turtle Beach Resort was very a disappointing one. We were asked to park the car in any spot we could find in a gated car park under the complex and look for the stair entry door 19 we could only get a parking spot near entry door number 5 Long walk with bags, and kids bits, only to find there wasn't a lift and our room was on the top floor ( if staying ask for lower floor ) we where tring to manange our bags up the 1st flight of stairs when 3 staff members rushed passed only to clock out on the time target clock on the wall behind the office Not Asking if we needed a hand. The room was ok but showing its age and little outdated but no big issue was clean that's the main thing. 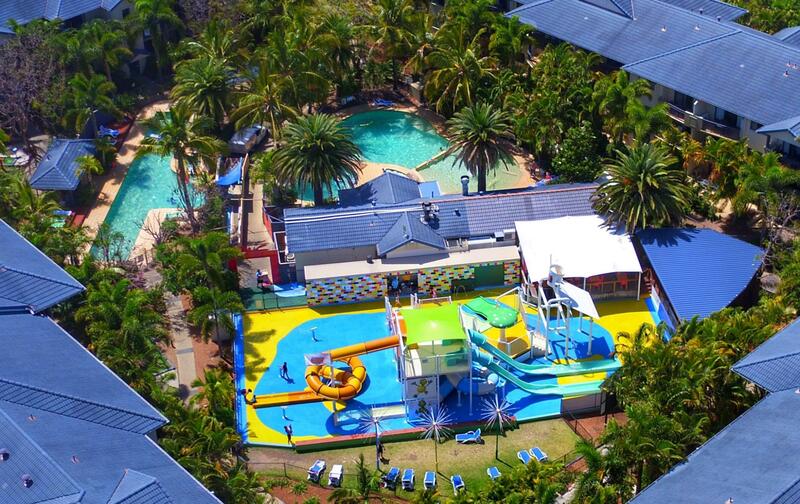 Grounds and facilities Where ok but we have stayed at another resort on the Gold Coast No ( Names mentioned ) That has a better water play park and swimming pool and is fair more organized we will not revisit. Hey had a great time with our two year old. He loves the splash zone and toddler pool. The rooms were very large and perfect for us. The shower could have used a bit of exit mould in the screen. The facilities are great and there is so much to do for the kids. We weren’t told though that they were renovating the front kids pool and our room was closer to that’s kids zone but it was only a short walk to the other children’s pool. Overall fantastic time and we would stay again. Second time we've stayed here and it was great again. A bit colder at this time of year so not so much swimming. Could be good to warm the pools more in winter. Food from the Deck restaurant was really good. Self contained apartments with all the amenities practically at your door step. Great location along the highway so its easy to find. Undercover secure carpark provided with the room was great. Room was clean carpet getting old but this is to be expected and no worse than other places. We had a fantastic holiday! The kids club staff really engaged the children and had loads of activities for them to do. The splash zone was a huge hit with our girls and the view from our room straight across to the water slides made their day! We would highly recommend this resort to all our friends. Although they do not provide any house keeping service throughout my 4 days of stay, there are washing machine and dryer available in my apartment. They also provided me with 2 packs of laundry powder and 2 packs of automatic dish washing machine powder for my family is use. On top of that, there are many eateries within walking distance from the resort. For those of you who prefer not to rent a car, you can also choose their resort transfer to go to the various attractions at a reasonable cost. 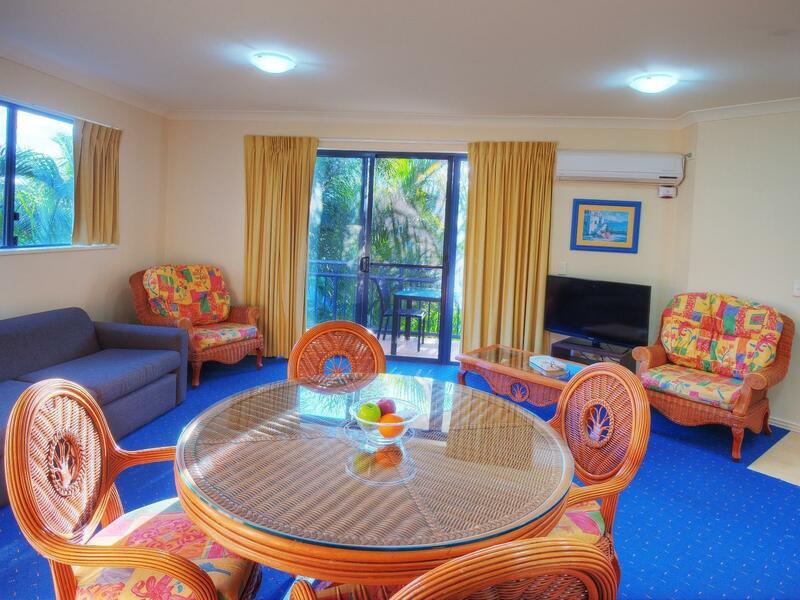 I will definitely choose turtle beach resort again the next time I visit Gold Coast. Fantastic!!! It was our first family holiday traveling interstate with our 5 year old autistic daughter. I was feeling very anxious about the holiday but upon arival the staff were very welcoming and helpful making it easy for us to settle in. They had givin us a room with no stairs and a very safe outdoor area. We very much appreciated the thought they put into choosing our room for us. We had an amazing holiday not needing to leave the resort because of the fantastic pool areas. Can't wait to return next year!!! This was our second stay at Turtle beach resort and was not disappointed. It is really a great family resort even though we went as a couple. Found staff frindly. Single appartment a bit small but Adequate with all facility's in very good cond. we were located on the third leval rear of building, no traffic noise. Being a family resort there was alot of noise around pool areas only to be expected. If you are looking for quite area around pool areas this wont happen often although this did not bother us. There is a lap pool with hot tub area designed for adult area but seems a free to all area. Found anoying as hot tub at times was occupaid by children as young as 3 years old with inflaable vests with parents near by ( a bit Uncomfortable as a male adult going in)I feel this should be addressed by Turtle beach management, security cameras that are around the park is a good idea. Meals served at The Deck open resturant area is great with a good varity of food and drink paid for when ordered. Beautiful tropical surrounds coming off the main street. A small strip of food dine in or take away ( Thai, Chinise, Pizza, cafe and fish & chips) outside of the resort with a liquar and conveince shop accross the street. Quieter area then Surfase Paridise but only 10 mins away and in the middle of some really nise beaches and shopping and enterainment areas. The pools, the staff and the cafe. Thoroughly enjoyable for our family of 4. It was great that there were wading pools for my two year old to play around in (supervised) and feel free. Great/clean facilities and happy and helpful staff. We went to many places for coffee along the south coast and found one of the nicest was at your resort - and unlike most places we went...you could actually get an order right! Thanks for a great stay. the hotel was great staff are awesome. pick up and drop off from airport and theme parks. We had the best time. The staff are awesome. Cant ask fir better service. We had bus transfer too snd from the airport and the theme parks. Lots of advice on what to do whilst we where staying with them. Highly recommended.